We understand it is very difficult to find an Electrical Contractor in Niagara you can feel comfortable with and develop a long-term and professional relationship with. 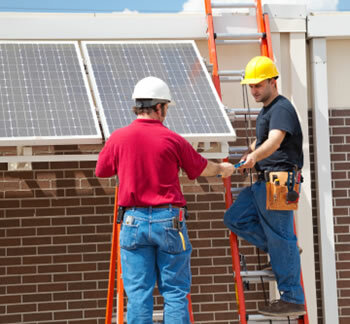 We also know that many home and business owners do not know all the intricacies and jargon that goes with electrical work, but they do know that it is both complicated and dangerous work. When you invite a Datawise Solutions representative into your business or home for the first time, they will provide you with a copy of our certificate to complete electrical work in the Province of Ontario, proof of insurance and proof that each job will be completed by an electrician holding a Certification of Qualification (C of Q) for the Province of Ontario. Once we have a thorough understanding of your electrical requirements, we will explain to you the various ways the job can be done and provide you options to select from. Except for Service Calls, we will provide a detailed estimate of the cost. If you agree, only then will you sign a contract for our work.
. . . or any other kind of electrical work completed around your business or home. Through their Niagara Guide advertising, Datawise Solutions Electrical is a proud supporter of The Niagara Kendo Club.